The plant world is my primary source of inspiration as an artist. It provides me with an endless arena in which to explore and experiment with the interplay of colour, shape, form and composition. 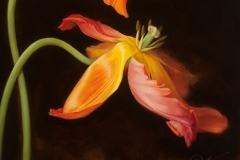 A Garden of Artistry Grows by Kelly Compton presents “beautiful well researched images made by some of the brightest botanical talents working today”, and includes Kerri’s painting of Parrot Tulips! The Mint commissioned Kerri to design the gold coin commemorating the centennial of the Armistice of 1918. Mintage 350. 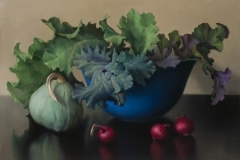 Artist Kerri Weller talks about botanical art.